Tunisia Stick Flag - 4x6"
Like many other nations in the Middle East, Tunisia adopted its current flag relatively recently. The design draws inspiration from older Tunisia flags, but it also owes a great deal to the flag of the Ottoman Empire, which once ruled over Tunisia along with many other nations in the area. 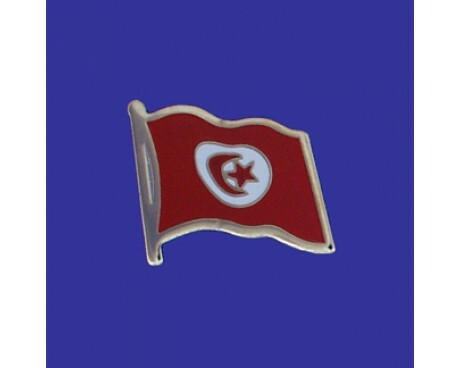 The crescent and star recalls the Ottoman flag and is therefore an indication of Tunisia's history as a part of the Ottoman Empire. This flag was adopted in 1831 and has a proportion of 2:3. The original desgn was done by Al-Husayn II ibn Mahmud and was altered in 1999. The Tunisian Republic is the northernmost country in Africa. It is a Maghreb country and is bordered by Algeria to the west, Libya to the southeast, and the Mediterranean Sea to the north and east. Tunisia flags display a red star and crescent on a white disc which is centered in a red field. The flag strongly resembles that of the Ottoman Empire, which represents the historical link between the two nations. 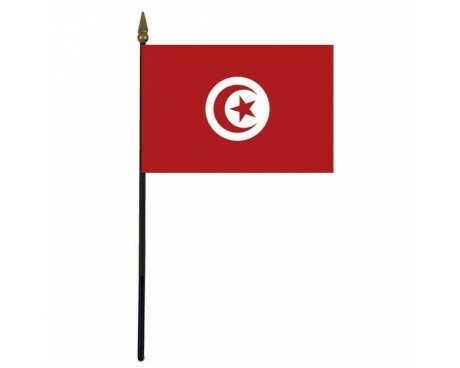 The red color also represents the blood that the Tunisian people shed when they fought against the Ottoman Empire in 1574. The white section is a symbol of peace, and the disc represents both the sun and the power of the nation. The star has five points, and each one represents one of the pillars of Islam. The crescent is also a traditional symbol of Islam, which represents the nation's ancient religious heritage. The earliest recorded Tunisian flags were naval ensigns that date back to the middle of the 18th century. The designs varied dramatically from ship to ship, but there were a few common traits that unified them. The vast majority of the naval flags included a crescent somewhere in their design, and most of them included red, blue, green, and white sections. The colors were often arranged into bands of irregular length rather than the regular stripes that are more common on modern flags. The Bey of Tunis had his own flag which could be used to represent the Tunisian people. It featured a central green stripe with a sword in it with four alternating stripes of orange and brown on each side. The orange and brown stripes held a decorative pattern of alternating stars and circles. The modern flag as the sole naval ensign of Tunisia in 1831, and it was used in that capacity for many years before it became a national flag. A slight variation on the modern design was adopted as the national flag in 1959. 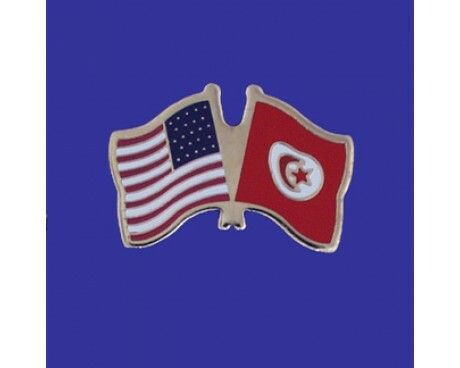 The emblem on the 1959 flag had slightly different proportions than the emblem of the modern flag, but was otherwise identical to the current flag of Tunisia. 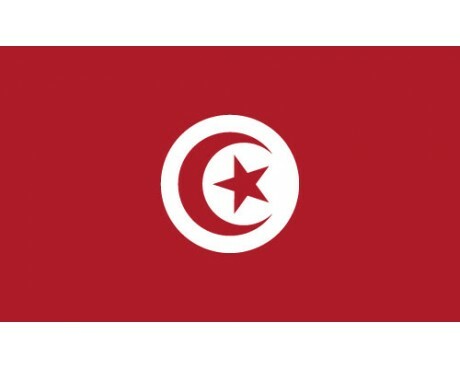 Tunisia adjusted the flag to the modern proportions in 1999, and has used that design ever since.